Happy Holidays everyone! 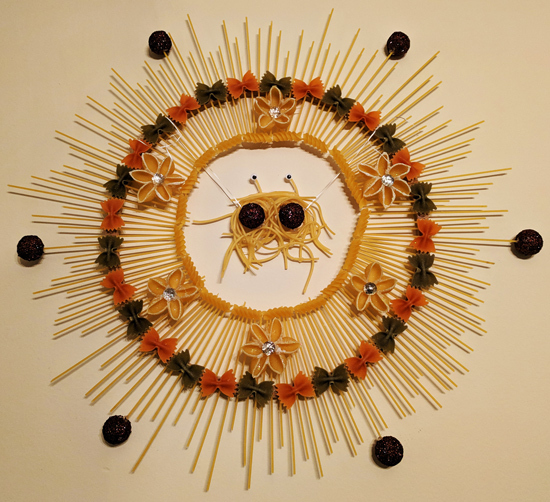 Thanks to Lena for sharing with us her festive pasta wreath, to Matthew for sharing his beautiful tree, and to Gail for the beautiful artwork. Reminder — you can create a festive Holiday card with personalized message here. It takes only a few minutes and costs nothing. 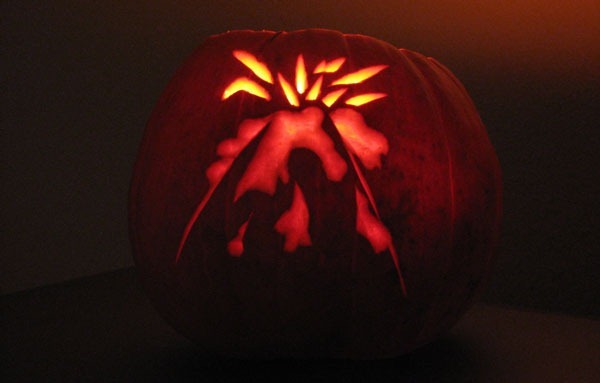 There are some new designs this year. 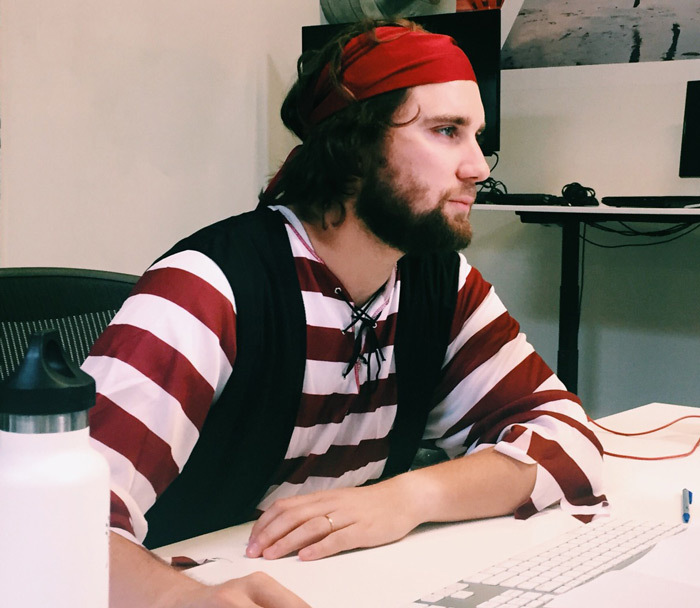 Halloween is one of the few days Pastafarians can walk around in traditional dress (pirate regalia) free from judgement and persecution. 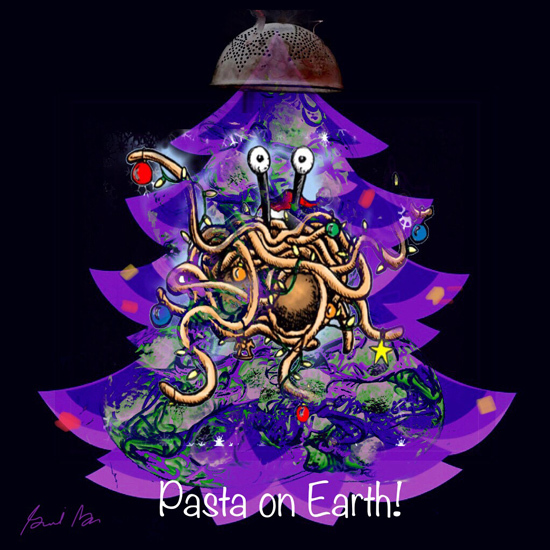 People on this blessed day also seem generally open-minded / perhaps drunk, so may be more open to hearing about the virtues of the Flying Spaghetti Monster and our religion. All in all, it is a prime evangelism opportunity — I hope that everyone makes the best of it and enjoys the day. Special thanks to all of the Pastafarian Missionaries spreading the Word. 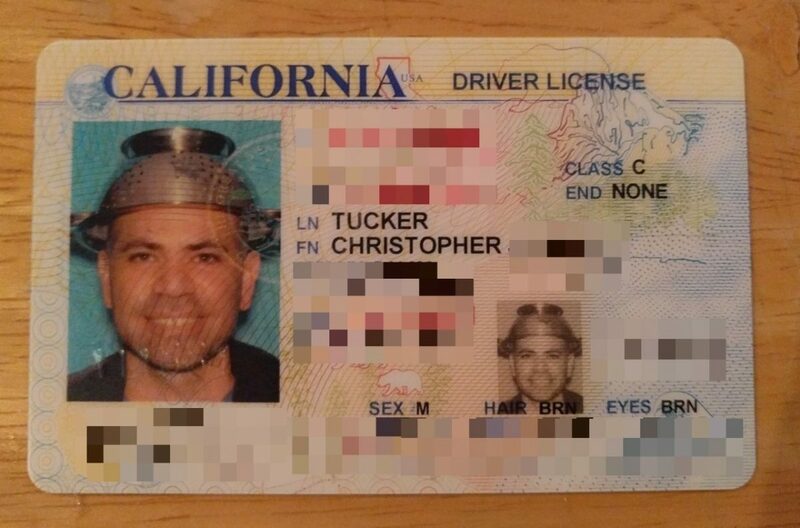 A few people have asked what’s the latest with wearing religious headgear (a Colander) at school, work, in identification photos, and so forth — is it allowed? It’s my understanding that, with a few exceptions, the wearing of religious clothing is a protected right that has been repeatedly upheld by the courts. But that doesn’t mean that the person you’re dealing with – like, say, the person taking your ID photo will respect that right. If you’re trying to wear official headgear in a public setting, my advice is to take yourself as seriously as you expect others to take you. A photographer may not allow you to wear the colander if you’ve just pulled it out while giggling. 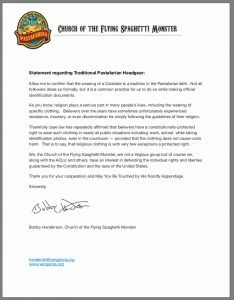 But if you walk in wearing it – if it is clear that this headgear is truly a serious part of your traditional Pastafarian beliefs, as you are claiming – then they are less likely to make trouble. I’ve also written a letter below, that you can show any interested parties if necessary, that explains that Colanders are indeed a traditional part of our belief structure, and a few notes about how this is a legally protected right, and so on. If you run into troubles, please let me know, and I will try to help. 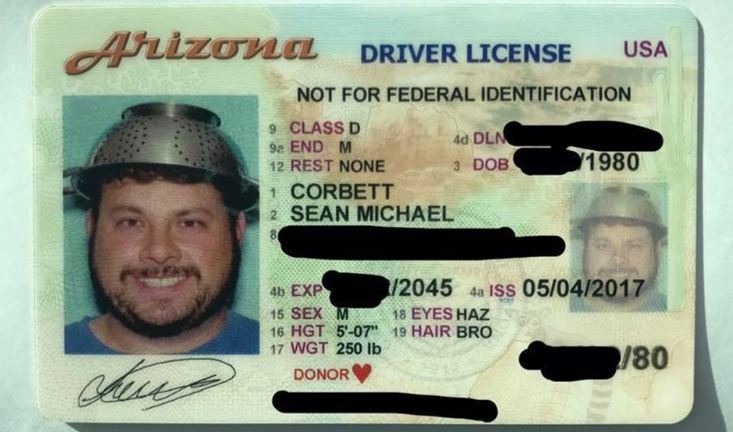 Allow me to confirm that the wearing of a Colander is a tradition in the Pastafarian faith. Not all followers dress so formally, but it is a common practice for us to do so while making official identification documents. As you know, religion plays a serious part in many people’s lives, including the wearing of specific clothing. Believers over the years have sometimes unfortunately experienced resistance, mockery, or even discrimination for simply following the guidelines of their religion. Thankfully case law has repeatedly affirmed that believers have a constitutionally-protected right to wear such clothing in nearly all public situations including: work, school, while taking identification photos, even in the courtroom — provided that the clothing does not cause undo harm. That is to say, that religious clothing is with very few exceptions a protected right. 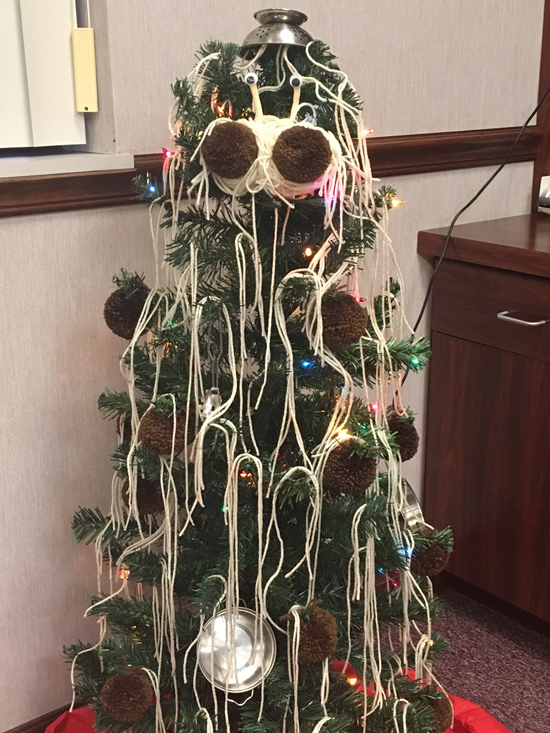 We, the Church of the Flying Spaghetti Monster, are not a litigious group but of course we, along with the ACLU and others, have an interest in defending the individual rights and liberties guaranteed by the Constitution and the laws of the United States. 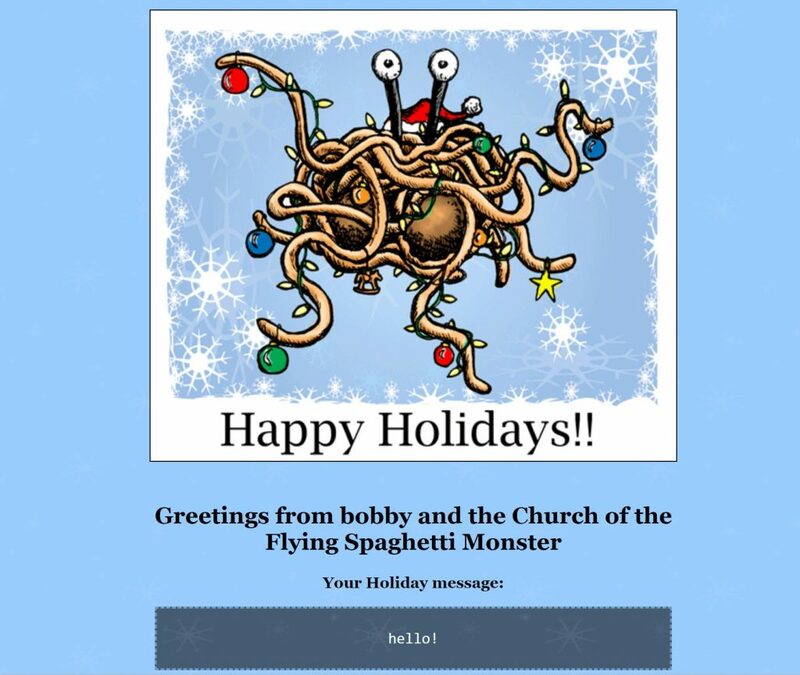 Thank you for your cooperation and May You Be Touched by His Noodly Appendage. Congrats everyone — Team FSM has reached $4 Million in loans on the micro-lending site Kiva. 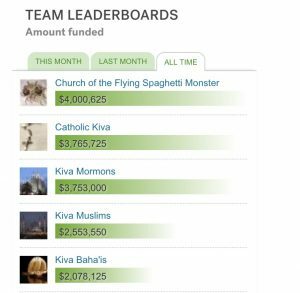 We’re now the top-lending religious congregation on Kiva, above the Buddhists, Catholics, and Muslims. Nice work everyone! If you haven’t already, please join our team here. Let me share this article written by Daniel Dowdy for the Rutgers Journal of Law and Religion about employment protections for Pastafarians in the workplace. For all of us who want to take off every Friday from work without fear of reprisal (religious discrimination) this is important. Mr Dowdy goes into detail about the history of the Church and what if any allowances can reasonably be asked of employers, citing decades of law. 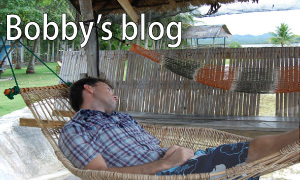 It’s an incredible piece of work and written in an approachable and entertaining way. I was blown away. I’ll paste some excerpts of the article below, but please take the time to read the article if you have any interest in this stuff – you won’t be disappointed. Here’s the link to the Rutgers Journal article. Your newly hired employee, Toni, has just walked into your office on her first day at Meerkat Manufacturing, the private corporation where you serve as a mid-level manager. She is donning a weathered vest with eighteen buttons, a flowing woolen coat over the top that has oversized cuffs (though it’s mid-July), striped pants that bag and tuck into high black socks just above her knees. On her head is a large metal colander, the same kind you have under your sink at home. She’s come to request Fridays off. Every Friday. Toni says that as a “Pastafarian” she is entitled to have every Friday off as a religious holiday. Title VII of the Civil Rights act of 1964 makes it unlawful for an employer to discriminate against an employee or prospective employee on the basis of religion, among other protected classes. This definition has been considered overly broad by its critics.5 To this day, Title VII religious protection law is a veritable wild west. It follows that nontraditional religions would, in a great number of cases,6 be included under this protected class. The question presented to Joe, our fictitious HR Director, and the same question to be answered in this note is: does Pastafarianism (i.e. 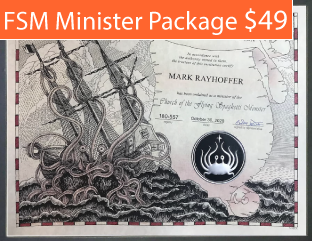 subscription to the Church of the Flying Spaghetti Monster), which has been repeatedly criticized as nothing more than parody and satire,7 elicit protection under Title VII? If so, how much accommodation is required? If not, why not? 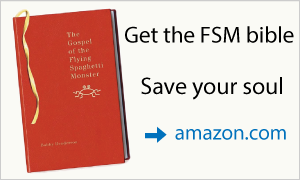 While Pastafarianism is the only religion based on empirical evidence, it should also be noted that this is a faith-based book. Attentive readers will note numerous holes and contradictions throughout the text; they will even find blatant lies and exaggerations. These have been placed there to test the reader’s faith. It is clear that Pastafarianism is not a traditional belief, given its only recent popularity and its foreign seeming practices. If Bobby Henderson is to be believed, that the CFSM is “not an atheists club,” then an analysis of the protected class membership of its followers as nontheists will be unnecessary. 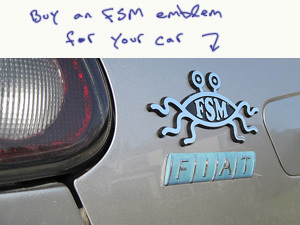 For the purposes of this note, as well as the required precarious judicial distinction between the truth of a belief and the truth of the sincerity of that belief, we must assume that Pastafarians generally do not fall under protected class status on the basis of nontheism, but rather, under a theory of non-traditional theism. There does not seem to be a great distinction between worship of the sun god, Ra, and that of the FSM.151 On the basis of non-traditional religious belief, therefore, there seems to be no barrier to Title VII protection. The beliefs and practices avowed by The Gospel are not built on a foundation of mere political or secular beliefs. While certainly Pastafarian practices are likely to seem unacceptable, illogical, inconsistent, or incomprehensible to some, if not a large majority of reasonable people, this will not disqualify the CFSM’s followers from protection under Title VII. Talking to Mr. Dowdy a bit, I don’t know his exact opinion on whether Pastafarians should be granted allowances to dress as Pirates and take every Friday off of work… I believe the larger point of his article is that courts should not be deciding what is and what is not a True religion and it’s not their place to maintain a list of protected religious activities that are deemed acceptable in the workplace. Perhaps we can convince him that Pastafarianism is the One True religion and deserves extra allowances. Again here is the link to the full Rutgers Journal article, please read it if you’ve got some time. Thank you to Mr. Dowdy. I predict a bright future for him (he just graduated from Rutgers with a Law degree) – and I hope that he will keep in touch with the Church and let us know what’s on his mind. Maybe we can brainstorm some questions to ask him from time to time. Please join me in supporting this Film project out of Spain. The premise: A family is about to celebrate a Pastafarian communion but they debate if they should invite the Christian conservative granny or not. 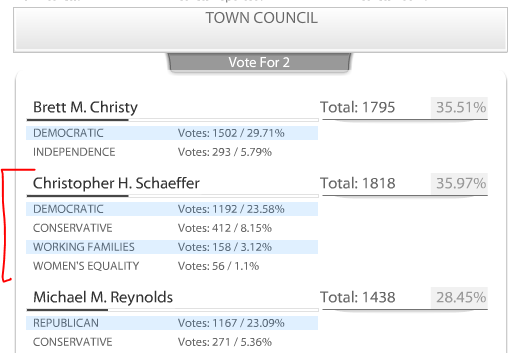 Congratulations to Pastafarian Christopher Schaeffer for winning re-election to the Pomfret New York Town Council. 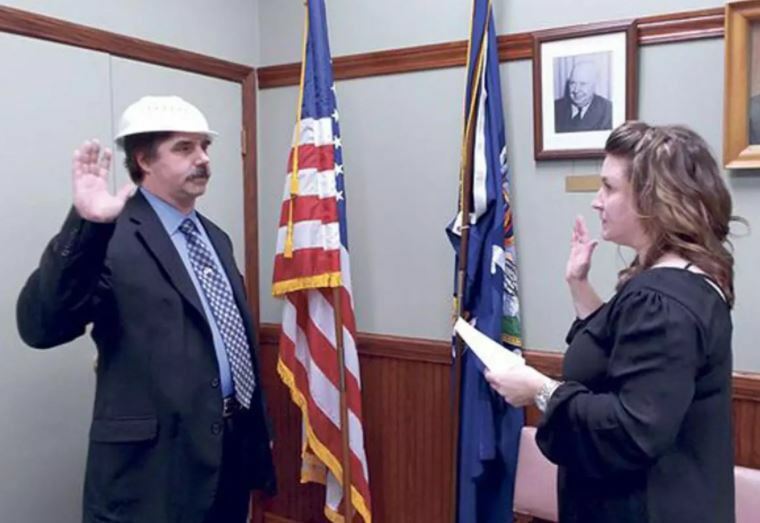 Mr. Schaeffer enjoyed (perhaps suffered) internet fame when he wore a Colander during his first swearing-in ceremony in 2014. To my knowledge no elected Pastafarian has yet worn Full Pirate Regalia in an official photo. By the election results, it is clear the voters approve of Mr. Schaeffer, despite (perhaps because of) his public religious views. Congrats, and keep up the good work, sir. German courts have ruled that Pastafarians are not allowed to post announcements of services alongside those of other churches. 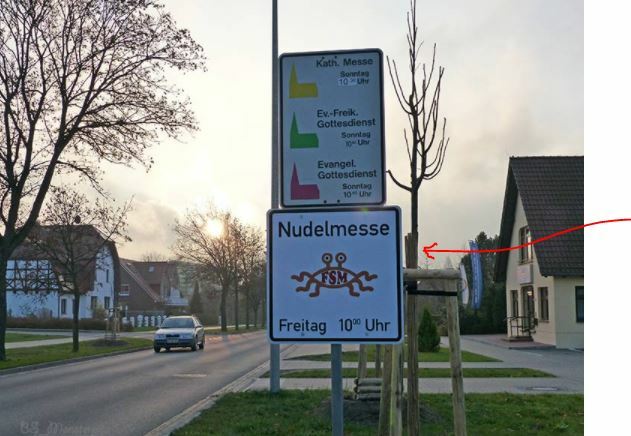 The German Pastafarians put these signs up years ago in Templin after other churches were allowed to post signs. There were complaints by locals who felt mocked, and it’s been in the Brandenburg state court system ever since. 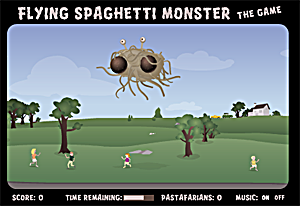 It’s disappointing that the courts would discriminate against the Church of the Flying Spaghetti Monster. Brandenburg state court ruled Wednesday the group can’t claim the rights of a religious or philosophical community. Judges said its criticism of others’ beliefs doesn’t constitute a philosophy. I find the reasoning dishonest. 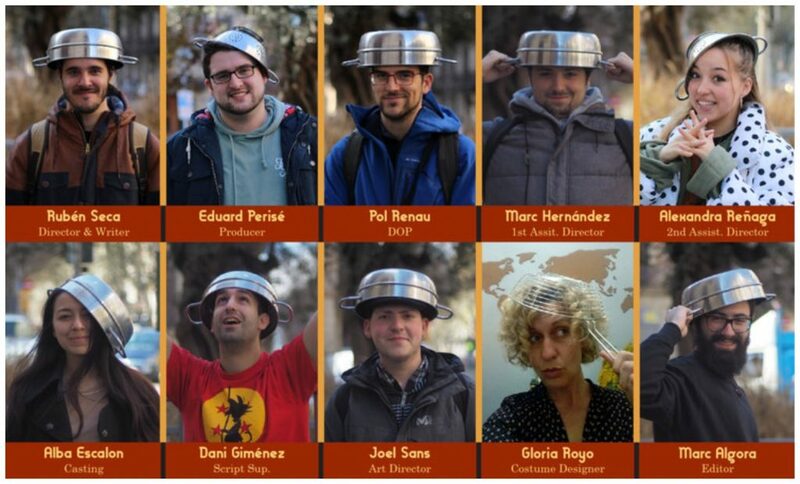 They could have made a fair point to say Pastafarians do not share an unquestioning faith of our own Dogma in the way that happens in many religions – that we do not necessarily Truly Believe our outlandish stories in the way that others might – but it is an absurd idea that the majority of Pastafarians have joined the Church in order to criticize others’ beliefs. What a cynical view. Is it hard to believe that people who are wired to reject faith could be drawn to a religion that respects Reason, one that is OK with Believers not fully swallowing Dogma? Perhaps there are people who enjoy the community of a church, without the necessity of denying Reality? Aside from that, I do not feel that Pastafarians are inherently judgmental people — I haven’t yet experienced this “criticism of others’ beliefs” that the courts have projected onto our members. In fact that sort of judgmental criticism sounds like what I’ve seen in mainstream churches. No matter. I’m confident that we’ll win in the end. And I think there is value when government institutions are forced to show their biases. They have ruled against us, but in doing so have exposed their own discriminatory attitude. 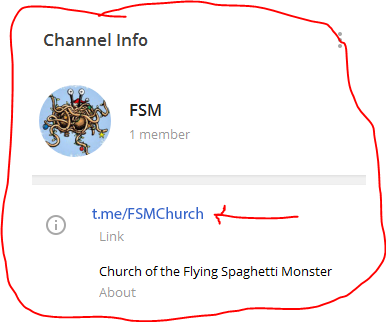 It may be that the growth of the Church of the FSM is in part due to the reaction of fair-minded people, after these setbacks happen. In other words, a few small-minded people with power have asserted their Authority and “won”, but many more people will hear of what took place and form their own opinions, and that is a win for us. I would like to thank the German Pastafarians for keeping up the fight. You are an inspiration to us all. The best article about this court case is here. At the top right you can translate into English.